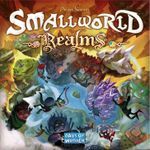 Small World: Royal Bonus is a mini-expansion for Small World that contains three Races (Fauns, Igors and Shrubmen) and three Special Powers (Aquatic, Behemoth and Fireball). 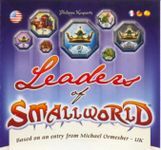 Royal Bonus was first released only to Kickstarter backers of the digital version of Small World. On September 8 Days of Wonder announced that the Royal Bonus would again be available at retail in November 2014.